This is not today’s double rainbow because I forgot that I had a photo-taking device with me, but it IS a double rainbow, and it reminds me a bit of today’s. Everyone on the homeward bound bus took a moment to look at it, and joked about going to find the pot of gold. 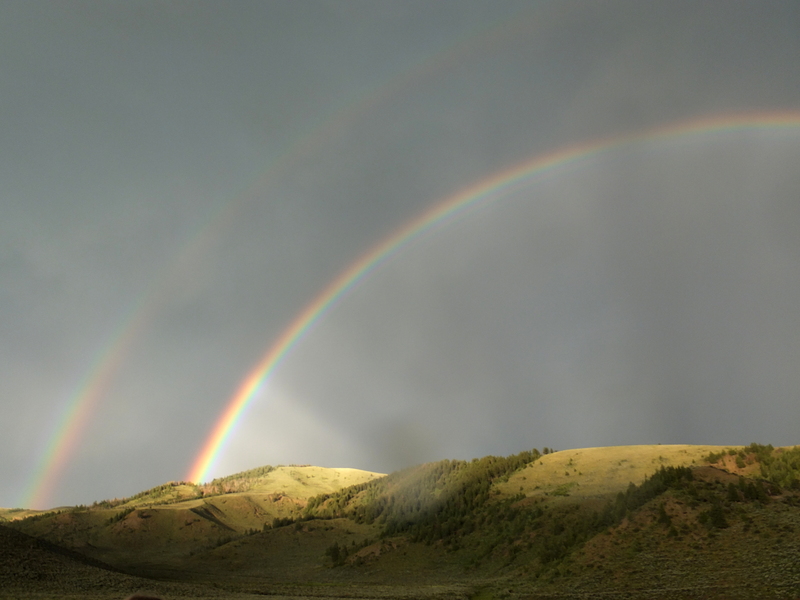 Kelsea and I tried to chase down the end of this particular rainbow up in Grand County last year, and came so close. One of these days, I will reach the end of a rainbow. I wonder if it feels different at the end, or if the air looks different? I think I’ll imagine that to be so. I never missed a Dark Shadows episode back in the day! We always watched it when we got home from school!